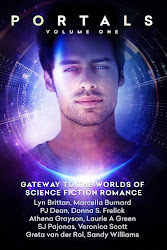 Hi, I’m Donna S. Frelick, and for those of you who don’t know me, I write Romance at the Edge of Space and Time, most notably the Interstellar Rescue series of SFR novels. Now, you might think that “edge” would mean the far boundaries of the deep galaxy, where so much of space adventure happens—distant planets, uncharted systems, wormholes to nowhere you’d want to be. And, yes, some of what I write takes my readers to those parts unknown. In Fools Rush In, the third novel in my stand-alone series, (and a 2016 SFR Galaxy Award winner), my characters spend all their time on that final frontier, a familiar one for fans of space opera. But there is another kind of boundary at which different worlds may meet. On one side of this invisible frontier, the world we think we know seems familiar and “normal.” We go to our jobs, we live our lives and the future seems predictable. On the other side of that boundary, what I call “the edge of space and time,” what Rod Serling called “The Twilight Zone,” what others might have called “The Fringe,” contemporary SFR, or material for “The X Files,” the world is turned upside down. Aliens are real. Earth is a backwater, unaware a battle rages in the stars overhead. Between interstellar slavers and those who would end the evil trade. Between those who would exploit Earth and those who would save it. The heroine of my latest novel, home care nurse Charlie McIntyre, crosses that invisible boundary without knowing it when she takes on a new client and his handsome son. Here’s the blurb for Not Fade Away, Interstellar Rescue Series Book 4, launching June 12. This excerpt from Not Fade Away shows a moment when Charlie begins to realize she may be standing on that edge—one she never knew was there before. Above them the sky was full of stars, the cross-section of the Milky Way slashing through the diamond-studded dome overhead. There was no moon tonight to detract from this heart-stopping view of the heavens; no lights from nearby towns; no fire built against the cold. It might be just the two of them, the only humans on Earth, looking up at that magnificent display of creative power. “It’s beautiful up here. Quiet.” Though Rafe’s voice was nothing more than a soft murmur, it seemed loud in that place. She sat up to look at him. Even in the darkness she could see his features had hardened, his jaw clenching, his lips compressing as in pain. She noted the use of “you,” not “we” or “us.” Her pulse kicked up, and she shivered inside her warm jacket. Had she spent the evening with some kind of UFO nut? 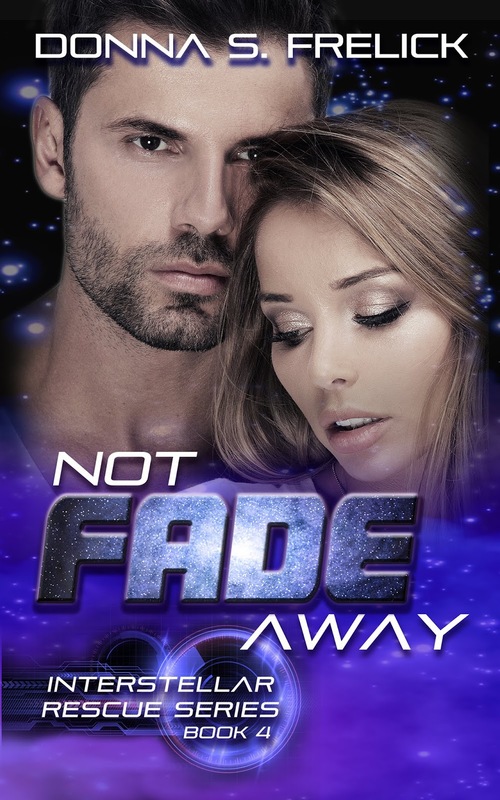 Not Fade Away, Interstellar Rescue Series Book 4, is available for pre-order NOW on Amazon. The book launches June 12 in both digital and paperback. Donna S. Frelick has been a journalist, a Peace Corps Volunteer and an author of STAR TREK fan fiction. She was an RWA® Golden Heart® Double Finalist in 2012 for the first two novels in her contemporary SFR Interstellar Rescue series, and a 2016 SFR Galaxy Award Winner for the third book in the series, Fools Rush In. Find her at http://donnasfrelick.com; blogging at http://spacefreighters.blogspot.com; on Facebook at http://www.facebook.com/DonnaSFrelickAuthor and on Twitter @DonnaSFrelick.